Half bound leather 15'' x 11'' Scrapbook with the front board loose. 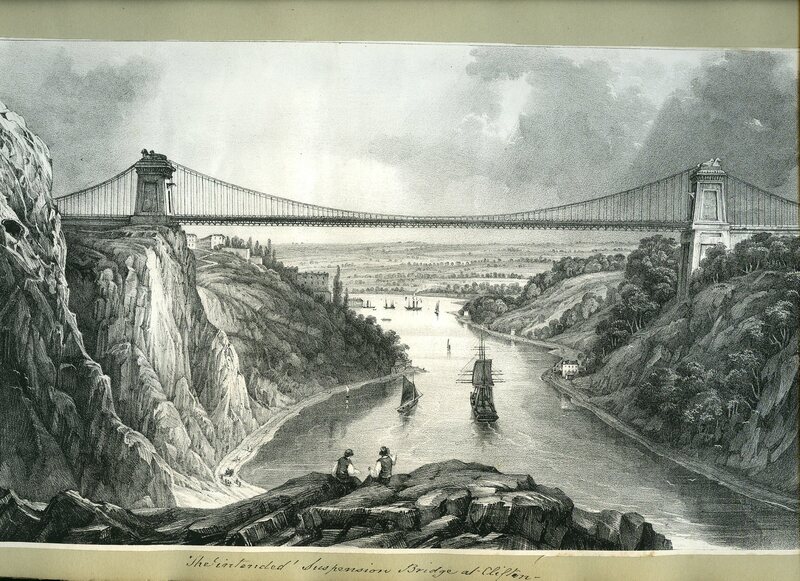 Many full-page engravings including: Clifton Suspension bridge design drawing 12'' x 7½''. The Clifton Suspension Bridge is a suspension bridge, which opened in 1864, spanning the Avon Gorge and the River Avon, linking Clifton in Bristol to Leigh Woods in North Somerset. The idea of building a bridge across the Avon Gorge originated in 1753. Original plans were for a stone bridge and later alterations were for a wrought iron structure. In 1831, an attempt to build Brunel's design was halted by the Bristol riots, and the revised version of his designs was built after his death and completed in 1864. Although similar in size, the bridge towers are not identical in design, the Clifton tower having side cut-outs, the Leigh tower more pointed arches atop a 110-foot (34 m) red sandstone-clad abutment. 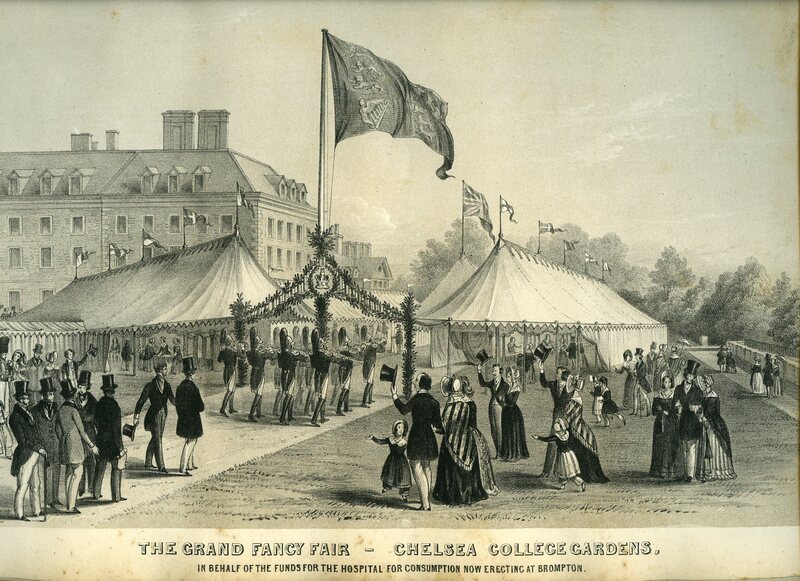 The Grand Fancy Fair Chelsea College Gardens 12½'' x 9½''. 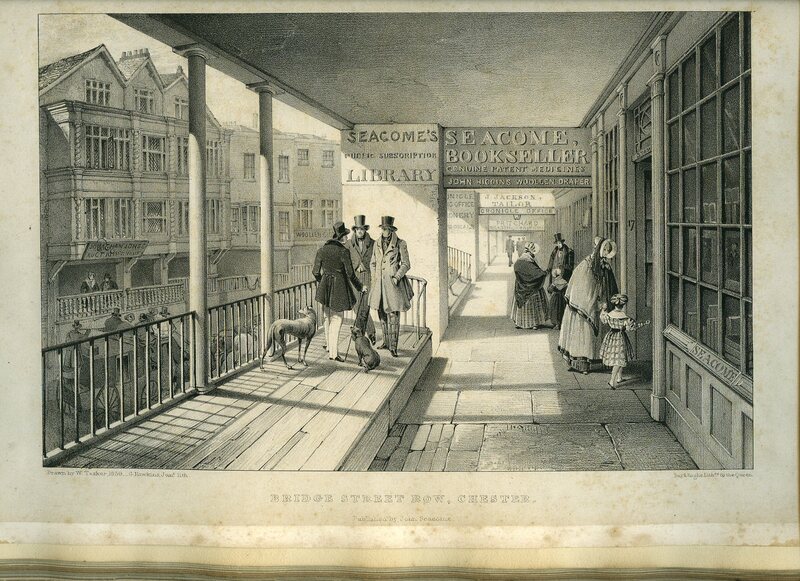 Bridge Street Row, Chester 12½'' x 9''. Many other engravings. All of the pages are intact and in Very Good condition. Heavy volume. Member of the P.B.F.A. 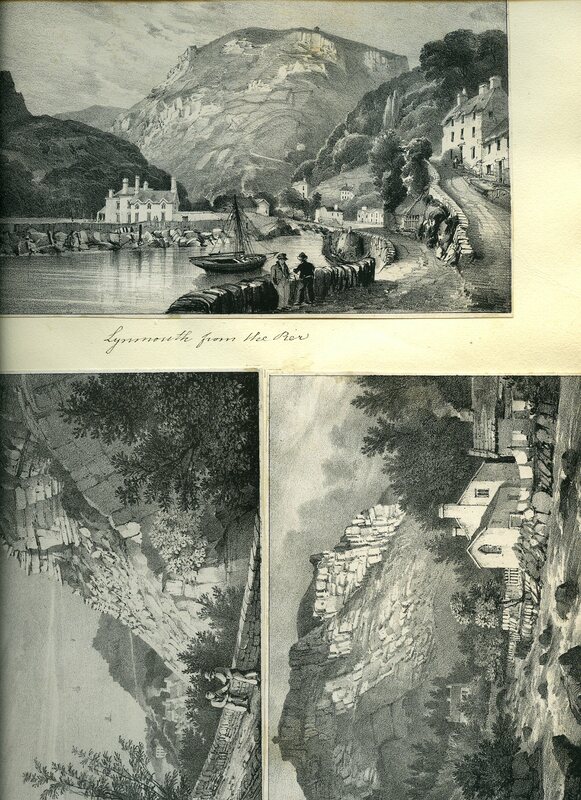 J. M. W. Turner; E. W. Stodart; J. C. Horsley; H. Lemon; et. al. 12'' x 10'' Scrapbook. 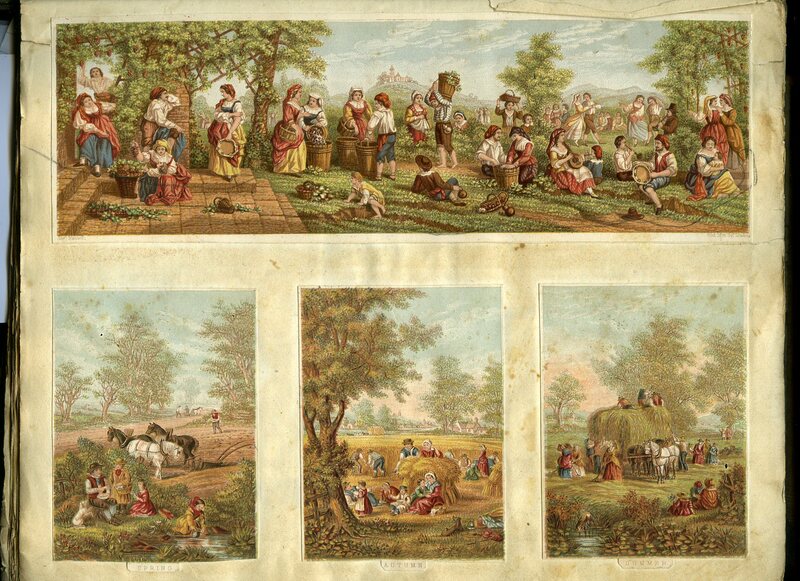 Mansell of Red Lion Square Harvest in colour 4'' x 3'' (Morning, Evening, Winter, Spring, Summer, Autumn), and two dancing colour lithographs 10'' x 3½''. 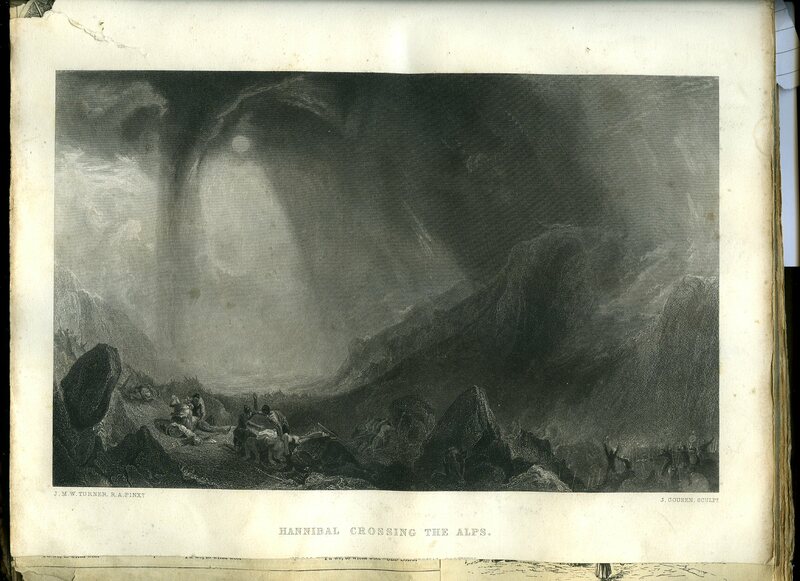 Approximately 80 pages of monochrome engravings. Boards in Poor condition with the contents loose and with some tears, spine completely missing. Member of the P.B.F.A. Victorian Scrapbook Containing: Colour Plate 'Fraisier' after Bernardin de St. Pierre, 'Papillons et Insectes d'Europe'. 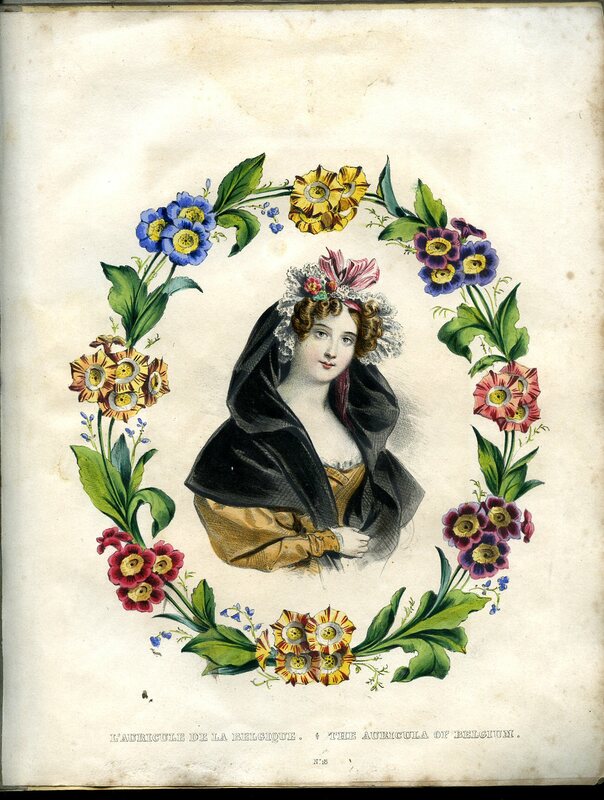 Colour Plate 'The Auricula of Belgium', Colour Plate No. 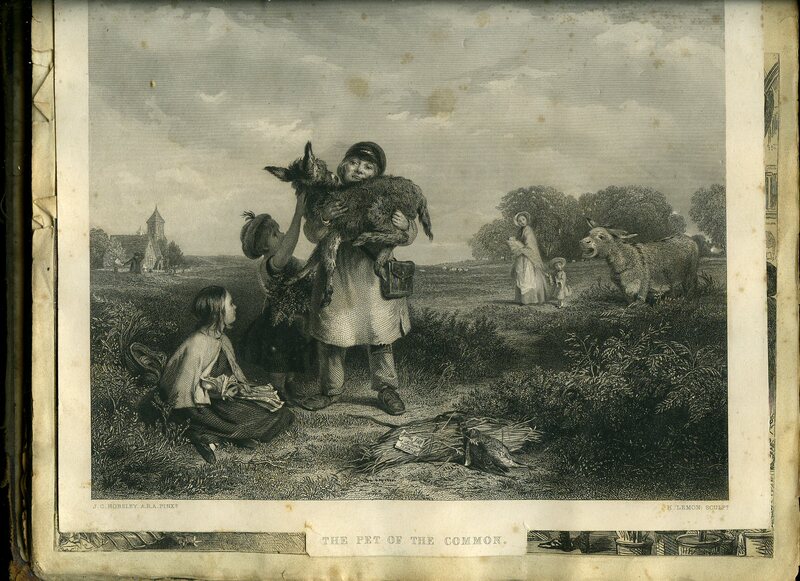 7 'My Child, My Child', Colour Plate No. 36 'They're Saved, They're Loveds'. 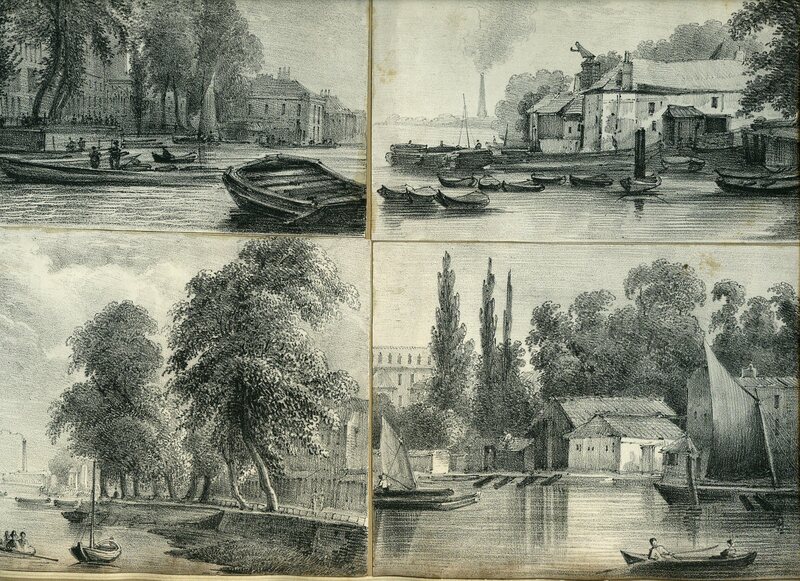 Two Parliament free mail covers received by Scrapbook owner and dated 1835. 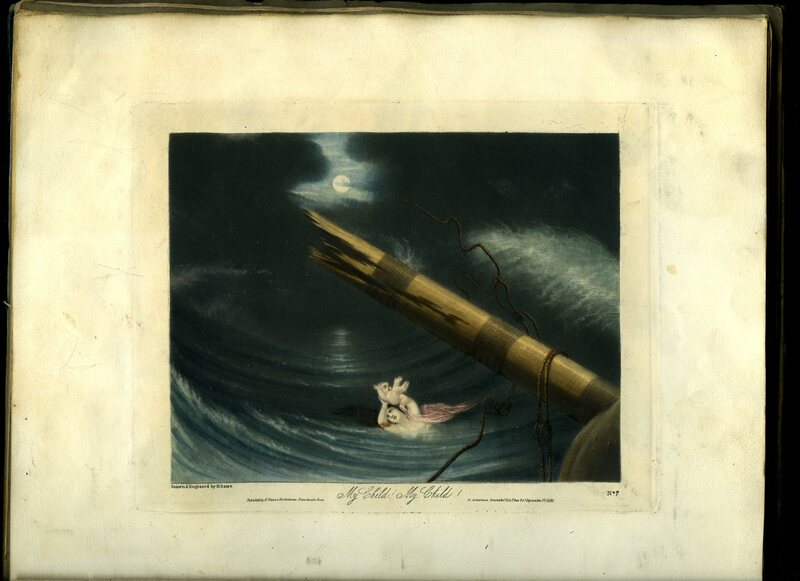 Tivoli Waterfall - one of number of full colour plates in same vain all dated 1798. 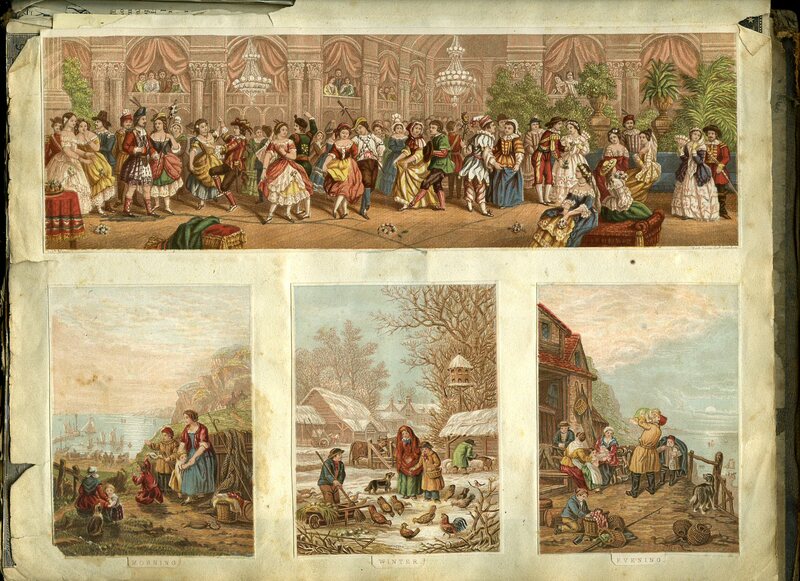 Russian, other hand coloured continental traditional costume dressed figures. A. Jenner book mark by C. Heath. Josh. 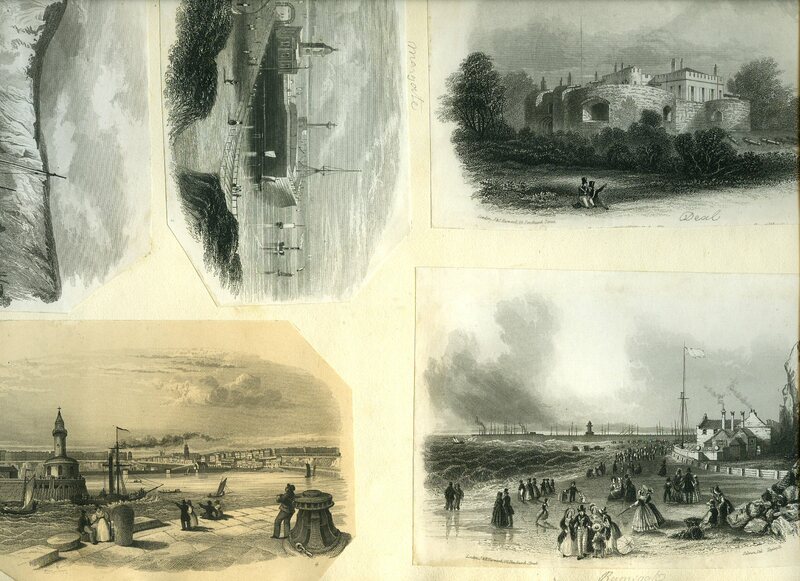 Hand coloured post cards - Sea, Harbour views shown. Sand Rock Hotel, Isle of Wight. Black and white hand drawn in pencil. Princes Victoria stayed there. 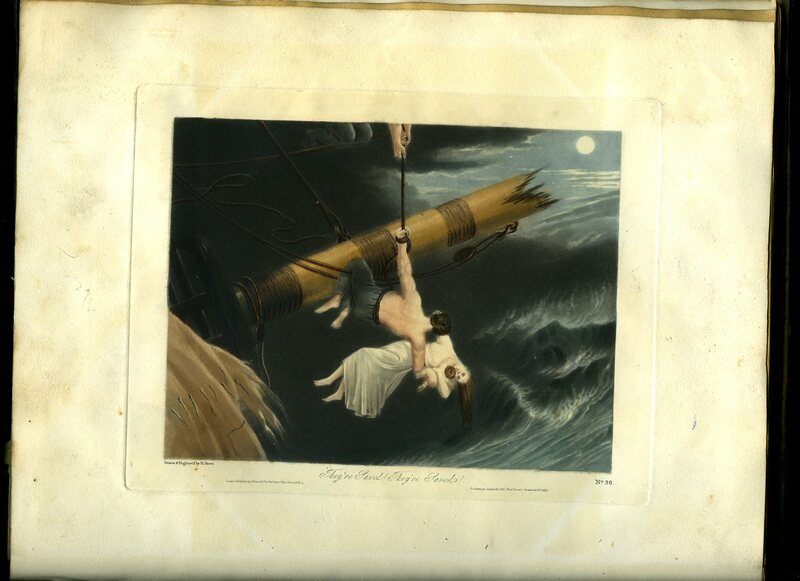 Miss Mitford Engraving , Bivouac / Napoleon plate, many other postcards. 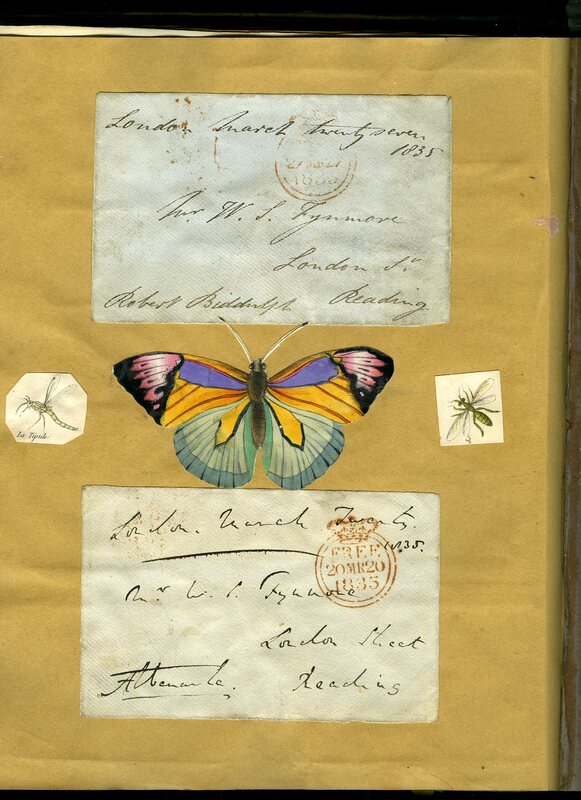 Many pages are 'framed' by hand coloured butterflies. 11½'' x 9¼'' Scrapbook with spine cracked and broken, the leaves are not loose or detached from the book. 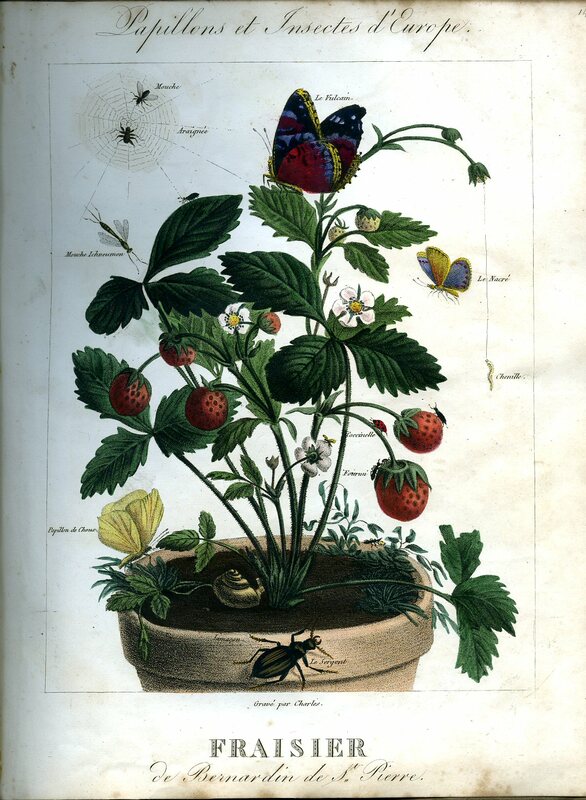 Hand coloured plate titled 'Fraisier' (wild strawberry pot) de Bernardin de St. Pierre, Papillons et Insectes d'Europe. 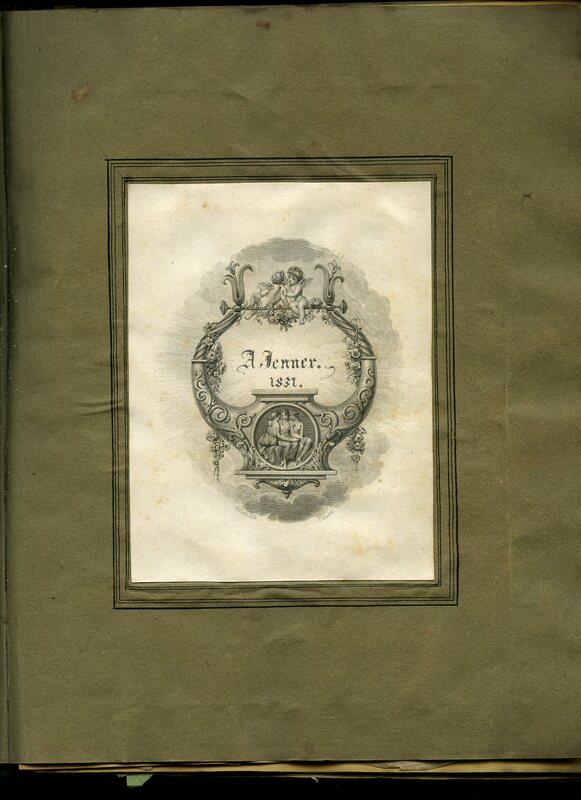 The story around this plate has been narrated in various French Scientific and Literary classics, eg Oeuvres Completes de Bernardin de St. Pierre, under Etude Premiere Immensite de la Nature - page 3, second half - page 5 - and includes his related ref. to discovery of micro(be)-life by Antonie van Leeuwenhoek and Robert Hooke (both mis-spelled) at top of page 5. Hand coloured plate titled Auricula de la Belgique / The Auricula of Belgium with No. 18 underneath. Beautiful arc of auriculas around the lady's head. 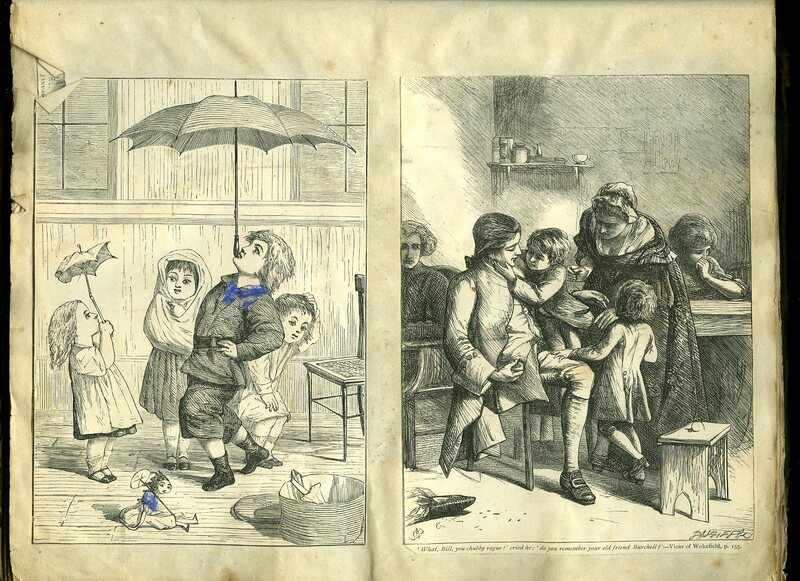 Just an afterthought - if published at the same time - early 1830's, the origins might have been somewhat obscured eg. printed 'clandestinely' in France, who co-conspired with the Belgians to regain their 'freedom' - due to the Dutch rule / occupation of Belgium till 1831, as part of the redrawing of Europe after Napoleon. The Dutch wanted to suffocate the Belgian Book / Journal/ Educational printing press by imposing massive stamp duties, so they would have to buy from rich, mainly Amsterdam publishers. This was just one of many grievances, which led to the Belgian Revolution against the Dutch. A horrible, shameful 5 years of Dutch history - led by the then King William I and his acolytes. He was proud, and callous as he was dim. 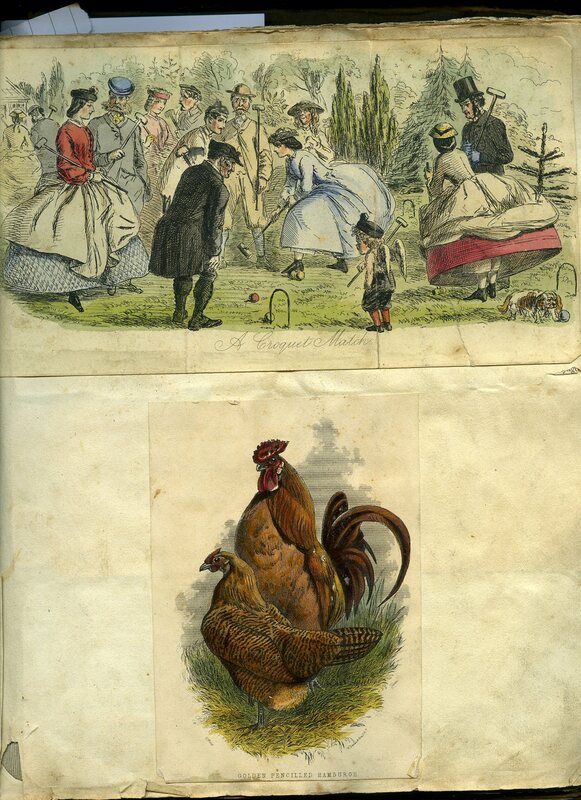 Monochrome plate SIGNED and dated A. Jenner, 1831, was done as a personalised engraving by the famous C. Heath (of Charles and William Heath Brothers). Later C. Heath generation became founders of Lloyds of London insurers. And much, much more. Heavy volume. Member of the P.B.F.A.